Specializing in commercial real estate and investment, David Cofrin has extensive experience in all phases of the practice including: acquisition, sale, leasing, options, financing, like kind exchanges, workout, deleveraging and recapitalization. Our client services include the negotiation, formation and structuring of all forms of ownership entities and assistance with documentation for a wide variety of real estate transactions and investments. Mr. Cofrin regularly represents individuals and entities, including sponsored funds, in complex multi-party real estate transactions involving buyers and sellers, borrowers and lenders, principals and investors, and tenants and landlords. Mr. Cofrin's clients include individual entrepreneurs and investors as well as operating companies and small businesses. He has negotiated, documented and closed real estate transactions of all sizes in Atlanta and other major cities across the country. JACKSONVILLE UNIVERSITY, Jacksonville, Florida (B.A. 1970); Dean's List; Psychology major; Political Science Minor. UNITED STATES NAVY; Lt.j.g., Line Officer, Active Duty 1970-1973; Honorable Discharge, December 1973. 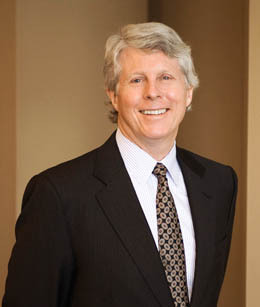 American Bar Association (Member - Real Estate Law Section); State Bar of Georgia (Real Estate Law Section); Atlanta Bar Association.